No one understood how our contemporary, an officer in the reserves and a history teacher, ended up in his own past, back in the body of a seven-year-old boy, and back in the period of triumphant, developed socialism, when, as far as our hero could remember, there was a lot more joy and happiness. That is how an adult imagines it, but it transpires all is not as perfect in the sunny land of Childhood as the memory would suggest. It transpires that here, too, meanness and greed exist. There are thieves, bandits, and scammers of all stripes, although you did not notice them earlier, when you were a child. But now you have to do something about it. Now you have to fight it, because evil knows no obstacles in time. Enemies—cruel and insidious, clever and merciless—have again emerged on the horizon. Besides, some of them seem incredibly familiar to our hero. So, the seven-year-old hero, who has two university degrees, combat officer experience, and a memory singed by the hard post-perestroika years, launches his own tiny war, allying himself with none other than the USSR State Security Committee [KGB]. He unexpectedly finds new friends there, the kind of friends for whom you can risk your life. November always brings a welcome holiday for Russians. The day off work is about some great historical event, but most use it to catch up with their families. On 7 November 2017, it will be exactly 100 years since Vladimir Lenin’s Bolshevik revolution, the one that people used to mark with anthems, weaponry and fireworks. But this year’s official holiday commemorates not the revolution, but an uprising of 1612 against the Poles. National Unity Day was a tsarist invention that Vladimir Putin’s government relaunched in 2005. Marked on 4 November, its timing has been perfect. After three days on their sofas, will anyone really notice that there are no red flags? The silence is like a dream in which the dreamer is being suffocated. Centenaries are special: everyone can count to 100. But so far Lenin and his comrades have not rated as much as a commemorative stamp. The man himself is still displayed – in a new suit – in the mausoleum on Red Square, but no one wants to talk about exactly what he did. 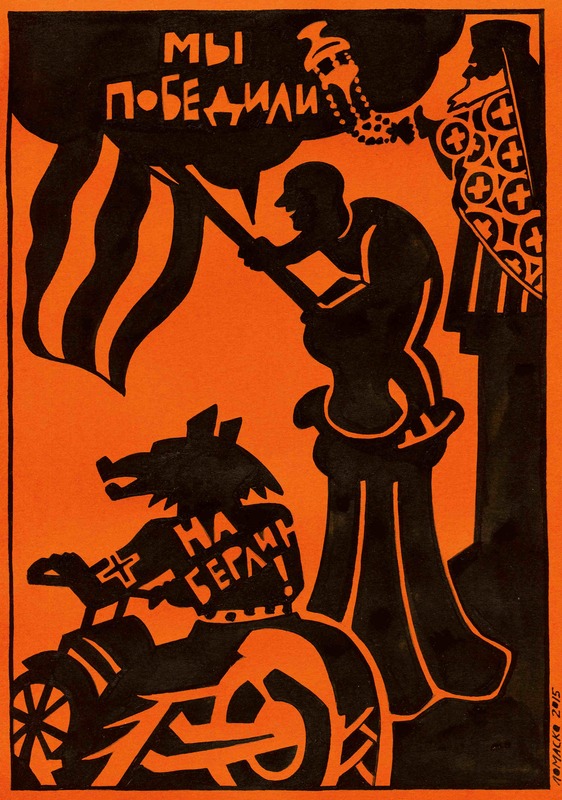 The current Russian government makes ample use of history – no child is likely to forget the great patriotic war against fascism – but Lenin can’t be made to fit. It is awkward enough, Moscow’s mandarins must think, that the Russian revolution was a people’s uprising against despotic rule, a fight against injustice and the gross excesses of the rich. With terrorism such a real threat, the Kremlin would be unwise to appear to condone violent revolt. Yet it can’t vilify a man whose corpse still lies in state, whose statue is a landmark in hundreds of towns. And what is it to make of Soviet power? If it condemns the Russian revolution, where does that leave Stalin and the people’s triumph? So far the answer seems to be to keep things bland. Lenin, after all, is boringly familiar. If he will only stay that way, if young people decline to think, then even this annoying anniversary will pass. There are rumours that Russia’s new left may take to the streets this year to mark the anniversary with demonstrations, but most Russians under 50 regard the Soviet story as a dowdy relic, an embarrassment. The state wants it to stay that way, the province of those staunch old trouts who still sell apples outside metro stops. Its very language, “Soviet”, is an antique. It must be held back in the past, exiled along with dissidents, stretch nylon and bad teeth. The Russian revolution was a moment when the veil of human culture tore. It was a season of euphoric hope, a terrifying experiment in utopia. It tested to destruction the 19th-century fantasy of progress. It was the work of tens of thousands of zealous enthusiasts. Yet now their great-great-grandchildren are bored. This situation suits their government. A cloud of tedium hangs over any formal gathering that ventures to discuss the thing. Most choose the safest, dullest line. There is to be a round-table meeting held at [the] Smolny, for instance, the building from which Lenin launched the revolution, working around the clock. Scheduled for late November 2017, the theme will not be revolution but the centenary of Finnish independence. I tried asking in the museums. The Russian state has preserved every relic of the revolutionary year, including Lenin’s pillow and his brother-in-law’s chess set. You can still run a finger around Stalin’s bath, the one that Lenin must have used before fleeing from Kerensky’s police. But nothing special has been planned, no big event, no cameras. The museum of Pravda, the Bolshevik party’s newspaper, is clearly short of funds. In Soviet times, schoolchildren visited in their thousands – it was part of their curriculum – but now the place relies on tourists. But mere avoidance doesn’t always work. A centenary of this importance is bound to be marked by someone; there has to be an official response. Ten months ago, the independent journalist Mikhail Zygar launched a website to track the events of 1917 as they unfolded, day by day. Belatedly, but with a considerably larger budget, the state-sponsored Russia Today responded with a handsome Twitter feed, lavishly illustrated with archival photographs and featuring imaginary tweets from some of the key figures of 1917. Both are useful resources, though neither has engaged with what the revolution means. That question haunts Red Square like Lenin’s ghost. The Kremlin is saving itself for another anniversary next year. In July 1918 the Romanov family was shot. The solemn lessons of that crime are something everyone will understand. A strong state is what people need, the message goes, and Russia’s is a special one. Unlike the regimes of the west, it is not only patriotic but orthodox. That is why Nicholas II is now a saint and why his killing by the Bolsheviks was a martyrdom. Through him, right-thinking Russian people can remember every other martyr of the revolution that is now, thank heavens, safely past. Victims unite a nation, everyone can grieve. In honour of the sacred dead (the millions, unspecified), a new cathedral has appeared in Moscow: vast, imposing, unavoidable. Help with the funds came from Putin’s close friend and confessor Bishop Tikhon Shevkunov. In Russia now it is an idealised form of nationalism, not the people’s rule or social justice, that is feted and taught in schools. Russia is the new Byzantium, no longer proud to fly the red flag for the world. There is one more anniversary that will not pass unmarked. The Cheka, Lenin’s feared secret police force, was founded on 18 December 1917. Its successors have included Stalin’s NKVD and the KGB of spy thrillers, but it will be the current lot, the FSB, who celebrate next month with the commemorative medals and champagne. As a lieutenant colonel in the service and its former boss, Putin could well be a star guest. The fact that many of the revolution’s martyrs died at secret police hands is a mere detail. Lenin had no problem ordering the Cheka to carry out the wholesale execution of priests and the so-called bourgeoisie. By 1918 there were bodies piled up in the streets. But such truths are easily ignored. Shevkunov’s new cathedral to the revolution’s martyrs is itself a stone’s throw from the FSB headquarters on Lubyanka Square. Catherine Merridale is a historian. Her latest book, Lenin on the Train, is published by Penguin. Vladimir Putin has condemned Lenin for ideas that, in the president’s opinion, led to the collapse of the Soviet Union. In fact, the ideas were those of Stalin, whom the head of state has avoided criticizing. Pasternak was writing about Lenin, and the president ventured his opinion of Lenin, too. Thus, consciously or not, the president marked the anniversary of the death of the Soviet Union’s founder. Many observers were quick to detect a hidden message in his remarks and once again raised the question of burying Lenin’s body. (Dmitry Peskov, the president’s press secretary, had to quickly announce that this issue “was not on the agenda.”) It is more likely that the remarks, delivered as the curtain was falling on a boring meeting, were made on the spur of the moment. Putin had obviously specially prepared for his speech at the January 25 interregional forum of the Russian Popular Front in order to smooth over the impression made by his previous remarks. Replying to a question about Lenin’s reburial, he outlined his views on socialism in more detail. He admitted he had always “liked communist and socialist ideas,” and he compared the Moral Code of the Builder of Communism to the Bible. Later, the president mentioned mass repressions, including the “most egregious example,” the execution of the tsar and his family, the “breakdown of the front” during the First World War, and the inefficiency of the planned economy. Finally, Putin separately addressed the question of why, from his viewpoint, Lenin had been wrong in his dispute with Stalin over the nationalities question: Lenin had wanted “full equality, with the right to secede from the Soviet Union” for the republics. “And that [was like] a time bomb under the edifice of our state,” said Putin, literally repeating what he had said in an 1991 interview. To strengthen the effect, he mentioned the transfer of Donbass to Ukraine. Historians will find it difficult to ignore that in the first instance Putin has mistakenly attributed to Lenin the idea of autonomization, which meant the inclusion of territorial entities in the Russian Soviet Federative Socialist Republic. In reality, on December 30 and 31, 1922, Lenin dictated a few notes, which were included in the leader’s so-called political testament. “I suppose I have been very remiss with respect to the workers of Russia for not having intervened energetically and decisively enough in the notorious question of autonomization, which, it appears, is officially called the question of the Soviet socialist republics,” wrote Lenin. His secretaries called these notes a “bomb,” so evident was their explosive effect, since they were directed against the general secretary of the Central Committee of the Russian Communist Party (Bolsheviks), Joseph Stalin, who was accused of a “Great-Russian nationalist campaign.” As a centralist principle, Lenin wrote, autonomization was “radically wrong and badly timed.” It was necessary to “maintain and strengthen the union of socialist republics” and be more sensitive to the nationalism of “oppressed peoples.” The union’s republics were granted the constitutional right to secede from the Soviet Union. Formally, Lenin’s policy was approved, and thanks to the policy of indigenization, which historian Terry Martin has christened “affirmative action,” the 1920s were the heyday of national cultures. But by bypassing the Constitution and Party Congress resolutions, Stalin’s project gradually emerged victorious. By the late 1980s, the federal principles of Soviet power had been discredited as a screen concealing Moscow’s omnipotence as the center. So it is, at least, naive to believe that the presence of the constitutional right to secede from the Soviet Union (and Lenin’s responsibility for it) played a crucial role in the disintegration of the Soviet state. At the Russian Popular Front forum, Putin clarified that, from the outset, he “had in mind the discussion between Stalin and Lenin about how to build a new state, the Soviet Union.” His speech showed that Putin’s attitude towards Lenin’s revolutionary project as a whole was not very different from that of establishment experts and commentators. Liberals, conservatives, members of the opposition, and “patriots” can forge a bond in their rejection of socialism, radicalism, and similar -isms. It suffices to carefully examine the responses to Putin’s speech to notice that dislike of Lenin is quite sincere and sometimes jealously competitive. Setting aside conservative fetishists of all things Soviet, sympathy for Lenin, on the other hand, remains the bailiwick of leftist intellectuals. Putin’s activist dislike of Lenin is noteworthy, given his demonstrative neutrality towards Stalin. In Putin’s view, although Stalin was a dictator guilty of mass repressions, he de facto rejected Lenin’s revolutionary maximalism. We cannot rule out that the president has taken into account the growth of public sympathy for Stalin, warmed by the economic crisis and political developments in Syria and Ukraine. The excitement generated by the statements of leading politicians about the distant past casts a negative light on Russia’s intellectual and political culture. The centennial of the 1917 Revolution is approaching. We can hardly expect success from the government’s project of reconciling the Whites, Reds, and Greens, as proposed by the culture minister, Vladimir Medinsky. Rather, the symbolic resources of the Russian Civil War will be exploited for the production of more and more new conflicts, as was the case with the Great Patriotic War. On the lines of the Banderites, it will be easy to construct new imaginary enemies of Russia. The president has discovered one such group of national traitors, revolutionaries and especially Bolsheviks. It will be harder to find heroes, but here the market, which previously has been successful in selling the image of Admiral Kolchak, will lend a helping hand. In these memory wars, academic scholarship, which cultivates the specific language of dialogue and therefore seldom provides simple and definitive answers to debatable issues, will hardly be heard. Thus, Pasternak’s line about “managing the flow of thoughts,” which flustered Vladimir Putin, takes on a particularly alarming ring. Victory Day 2015 was celebrated in Russian with great fanfare. Nearly all the veterans and witnesses of the war are dead, and now people who had nothing to do with it can privatize “the Victory”. People from all the Soviet republics fought on the frontlines or worked in the rear on behalf of the soldiers at the front, but now the victory has become the victory of ethnic Russians alone. Atheists fought for their communist homeland, but now they are dubbed “agents of Russian Orthodox civilization,” and Patriarch Kirill says a “divine miracle” played the decisive role in the victory. Soviet soldiers bore red flags emblazoned with hammers and sickles as they scrapped their way toward victory over fascism, but now Soviet symbols have been replaced by orange-and-black striped ribbons that originated in the tsarist era. To be eligible to celebrate “the Victory” you have tie to St. George’s Ribbons to your clothing, your backpacks, your rearview mirrors, and your car antennae, adorn yourself with crucifixes, oppose Ukrainian independence, and be a flagrant homophobe. This has been the route to public renown taken by the Night Wolves bike gang leader nicknamed The Surgeon, a Putin favorite who organized the To Berlin! “patriotic” motorcycle rally, and had the full support of Russian state media in this dubious and potentially offensive endeavor. To find yourself labeled an “enemy” and a “Nazi,” however, it suffices to point openly to the way history has been distorted and to remind people that war is primarily an act of mass slaughter. This was the route taken by the Oleg Basov and Pyotr Voys, the artist and the curator who organized an exhibition entitled We Won, which police and the FSB shut down on May 8, a day after it had opened for a private viewing, and one day before Victory Day, May 9. The art community did not discuss what happened, because what happened was too frightening for them to discuss. Here is a translation of the statement the organizers of We Won posted on the exhibition’s Facebook page on May 7, 2015. The country is celebrating a great victory. The St. George’s Ribbon, portraits of Stalin, the red flag, and the word fascist are vigorously being replicated again nowadays, becoming a part of everyday life. But we should clarify the situation. The St. George’s Ribbon is orange and black. It was awarded for military valor, and during the Second World War itself it was a decoration awarded in Vlasov’s Army, which fought on the side of the German Wehrmacht. 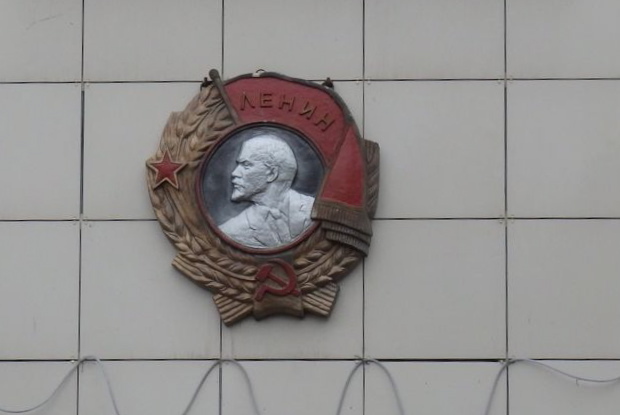 As a symbol of victory in the Great Patriotic War [the Soviet name for the Second World War], it was suggested by RIA Novosti news agency in 2006, and the government supported this proposal. The St. George’s Ribbon is now tied to backpacks, dogs, and Mercedes-Benz cars. It has become something commonplace, as if the rank of general or medals for heroism were handed out to everyone. When heroism becomes a cult, and its symbols are reproduced en masse, its meaning is emasculated. The St. George’s Ribbon is today an identifying mark of the pro-Putin regime fans of Russian TV Channel One. We won! Let’s take a look back at what this meant. When counting the numbers of the dead, the margin of error amounts to millions of people. The beheading of the Red Army’s command on the eve of the war, the Molotov-Ribbentrop Pact that divided Poland between Nazi Germany and the Soviet Union, and the shameful Winter War, which undermined the army’s authority, were only a prelude. The illusion that the Soviet Union had unlimited human resources led to terrifying losses: seven Soviet soldiers for every German soldier. In the postwar years, the military-industrial complex accounted for two thirds of the Soviet Union’s GDP. These years also witnessed total poverty and devastation, a deformed civil society, an epidemic of fatherless children, concealment of the disabled from the general public, widespread reprisals against war veterans who had been in Europe during the war, and Stalinism’s postwar apogee. The list could go on. The victory was seen as a justification of the Stalinist terror. Declaring ourselves victors blocks our chances to humanize and evolve our society today as well. Cultural trauma and post-traumatic amnesia distort our identities. This is expressed in the brain drain of talented people to other countries, widespread alcoholism and drug addiction, and the monstrous lives led by the elderly and the disabled. We won, and today the outcome of this discourse is a restoration of totalitarianism with an admixture of Orthodox fundamentalism. Our exhibition does not question the heroism of the people, that is, the men and women who stood in muddy trenches and snatched victory from the jaws of defeat. But we question the chimera of the great imperial past, which today is manufactured as the one and only indisputable core of Russian identity. The Second World War was a monstrous bloodletting by the nations of Europe. A day of mourning is not an occasion for congratulation.